Fact: many Singaporeans want to quit their jobs. According to the recent World of Work Report by global recruiter Randstad, more than 60% of the city-state’s workforce are planning to resign within the next 12 months. 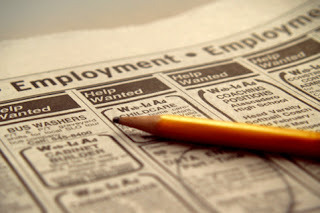 Not only are they quitting, but they are also job hopping, with as many as 21% of the workers eyeing at least three jobs. According to Ministry of Manpower, typical working hours is 44 hours per week, which may be 8 to 9 hours a day, depending on how many days you work each week. But we know that’s not exactly true. In fact, we have one of the longest working hours in the world! Working for many hours can be detrimental to one’s health and productivity. It often results to poor work-life balance, and as they love to say, all work and no play can certainly make anyone dull. It’s close to saying that the extra hours you put in at work might be useless as your motivation and efficiency levels are already low. Although not all bosses are straight from hell, some are, and they can be one of the biggest motivations to say bye-bye to the workplace. They may even be the reason why many are forced to work long hours. They micromanage, demand and expect a lot while shortchanging you, and worse disrespect your worth as an employee and as a person. Certainly, nobody wants to deal with this type of person for another minute. In the same Randstad report, more than 39% of the respondents consider quitting because of lack of career growth and opportunities. Being able to move up the corporate ladder, receive promotions, and grow skills are just some of the intangible ways companies can show recognition for the employee’s contribution. Who doesn’t like to be appreciated and recognized, right? Besides, these opportunities mean the possibility of landing better work and pay. Everyone is entitled to quit and find another work if it means escaping from the burnout and chronic stress, which can take a toll on the physical, mental, and social health. But before you even start heading out the door permanently, remember this: quitting your job can affect your finances. For one thing, you may not be able to take advantage of the best credit cards in Singapore. Credit cards can be helpful in many ways including covering for immediate or big expenses you can’t pay fully in cash yet since you’re not working. But issuers such as banks have strict requirements before you can apply for a credit card including a stable job. After all, you still have to repay your dues, whether you’re currently employed or not. Although this doesn’t mean that those out of work temporarily won’t be able to apply for a credit card, terms may not be favorable. Maintaining a job you’re beginning to hate is difficult, but life becomes worse if you don’t plan quitting properly. Be smart.